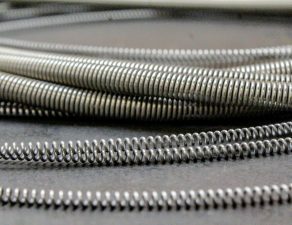 Garter springs are coiled steel springs that are connected at either end to create a circular shape. Garter springs will often be used in oil seals, shaft seals, belt-driven motors, and electrical connectors. There are essentially two types of garter spring: compression and extension garter springs – compression garter springs will exert outward radial forces, and extension springs will do the opposite. Regarding their manufacturing process, it does not differ from the manufacture of regular coiled springs, the only addition being the ends joined together. 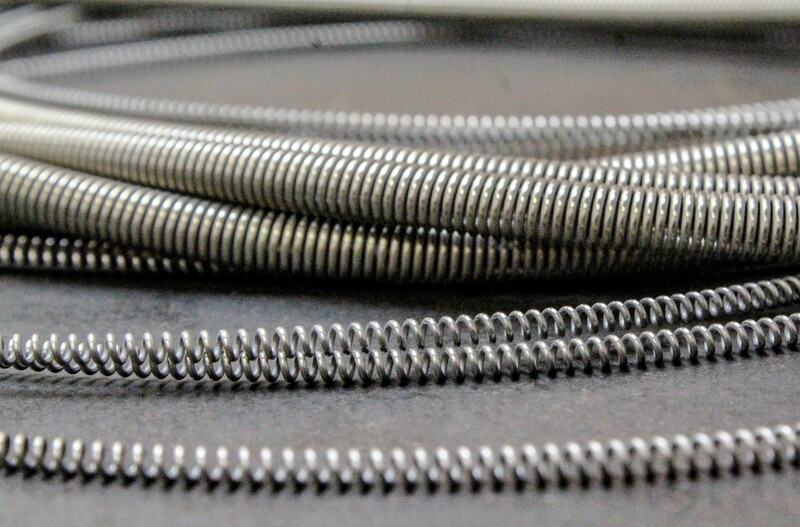 Along with many other springs, garter springs will typically be made using carbon or stainless steel wire. As aforementioned, compression garter springs are a type of coiled spring that exerts outward radial forces away from the centre. Compression springs will frequently be manufactured with thick steel wire that has large coils; compression springs are crafted to be able to handle heavy loads all the while being able to return to their original extended position. The springs will store any potential energy when they are compressed (the length of the spring will decrease_, and exert any kinetic energy when released. Compression garter springs will use this principle to withstand forces acting on it from the outside. They could potentially be placed inside a circular object to maintain the circular shape of the object – take the theory of squeezing a rubber ball; the ball will naturally contract when squeezed but will return to its original state after the pressure has been released. An extension garter spring is essentially on the opposite side of the spring spectrum. Again they are a form of coiled spring, this particular spring will exert an inward radial force that moves toward the centre. Extension springs store potential energy in their extended form and naturally want to contract quickly, something that is vital when dabbling with pressurised gases and fluids. Extension garter springs repel forces from the centre, thus they can be placed on the outside of any circular object for it to maintain its shape. A comparison is one of a bracelet – it is extended to fit around the wearer’s hand and then proceeds to snap back into place around the wrist. Extension springs are frequently used, more so than garter springs as they actually use less material (smaller circumference and thinner wire), along with their quicker response rate and efficiency to change. Please visit our website for further information about our garter springs and other services we provide. We provide a range of springs such as peek springs, canted coil springs, coil springs and, of course, garter springs. If you are interested in our services, contact us today for more information!